Confused by Paint Color? Help is On the Way! I'm an educator at heart. 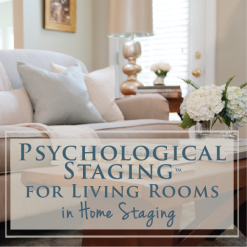 I'm not a Color Consultant who simply tells a homeowner which colors to paint their walls without working through a collaborative and educational process first. I've found that there are so many people who suffer from SPCC, or Severe Paint Color Confusion. I want my clients to understand how and why we've landed on the final color selections for their resulting color palette. My business has grown to such an extent that I simply can't specify the colors for all the people who want me to – there just aren't enough hours in the day, days of the year, or enough energy in my body! So I decided to create something that would help people who 1) can't get on my schedule, or 2) can't afford a personalized consultation. 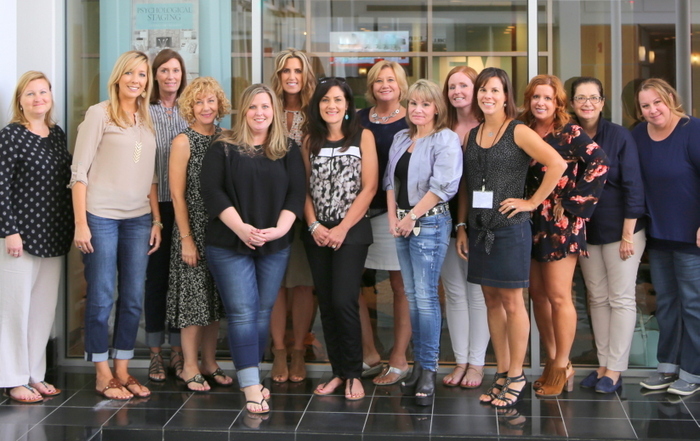 Last summer I offered a workshop at Kirkland's Floor to Ceiling store outside of Nashville, TN. Out of that workshop, I've created a series of videos to help people learn more about choosing the right paint colors for their homes. 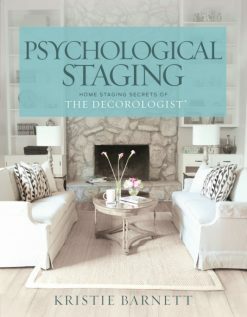 In this 32-minute video, The Decorologist helps you understand how color is perceived relative to surrounding colors and lighting conditions. 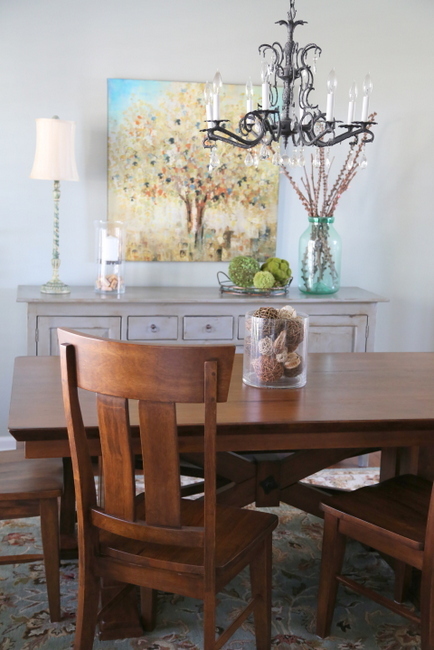 You will learn how recognizing the undertones of colors can help you make the right choices for the existing finishes in your home, the difference between "dirty" and "clean" colors, and how to combine paint colors in your home to achieve a pleasing flow. 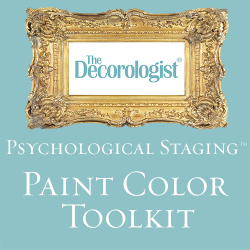 The Decorologist covers what's on-trend in regards to placement of paint colors in your home. 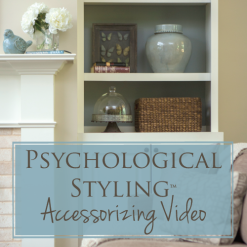 Do's and don'ts for choosing accent walls, applying ceiling color, painting woodwork and cabinetry, and how to treat your trim to are all covered in this information-packed 22-minute video. 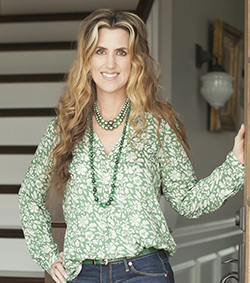 The Decorologist lays out her 3 most important rules for choosing color in your home and shares her Top 12 On-Trend Benjamin Moore Neutrals and where to use them in this 27-minute video. 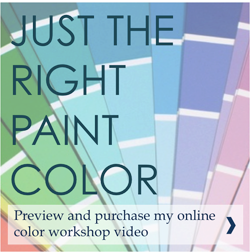 In this 22-minute session, you'll learn how to get started when trying to decide which paint colors to use (and not to use) when developing a color palette for your space, followed by information on how to use the Benjamin Moore fandecks in choosing paint colors, and recommendations of specific Benjamin Moore products for specific applications. Click here for a free preview to see if this might be something you'd enjoy and find beneficial. And please share with your friends and family who may be suffering from SPCC (Severe Paint Color Confusion)! 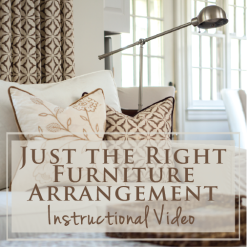 For my email subscribers who have already purchased and viewed the video, I'd love your feedback in the comments below. This entry was posted in Color Consultation, My Decorology and tagged choosing paint color, color workshop, just the right paint color, paint color, paint color consultant, paint color help, paint color video. Yay! I'm so glad you have a video! I really wanted to come to your workshop but living several states away made it pretty impossible. I was one of the reader that asked if you would let us connect by skype or another way so thanks for listening. I must agree with Lex, I purchased and viewed the video and found it extremely well put together and useful. I would enjoy more videos of you speaking to the masses. The one I am expecially looking forward to is you at HomeGoods explaining where to start when you go in shopping. Good luck Kristie! I know you will do well!